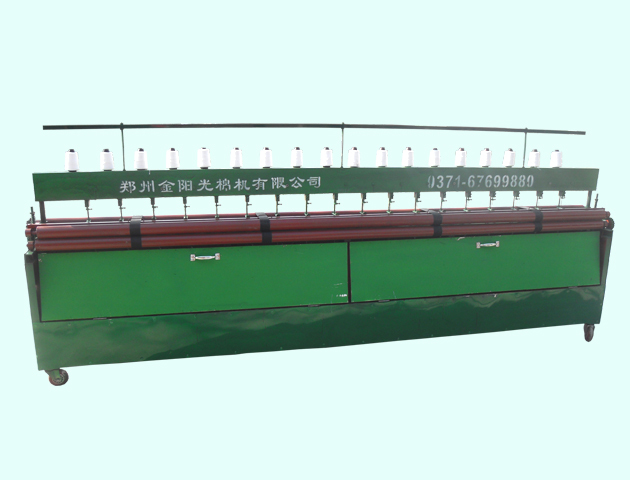 The new generation of full automatic quilting machine can be operated by one person easily without quilt head reserved. It is the third generation of product developed by our factory, and its key parts are well-designed. It can sew a quilt within two minutes with straight seams. Its stitch length is even and adjustable. There are two types of Nine Needles and Gong and they are unlimited in length. It is a high-tech product in a substitute for quilting by one needle and one line kneeling and crawling on the quilt. It is equipped with a 1.5KW two-phase motor, reasonable, safe and reliable in design. It is pretty and elegant as a whole with 2.6 meters long, 1.2 meters wide and 1.3 meters high. Low price and quick investment return are acceptable for common people. So, it is the preferred product for the cotton fluffing users to become well-off. Motor model: two-phase, 1.5KW; three-phase, 1.1KW.